Our Design Work Sessions are the perfect service for those who guidance on making design decisions beyond color palettes. They are also the service that begins any interior design project from furniture and accessories consulting to full home design and decorating services. A Design Work Session is also for you if you’ve never worked with an interior designer or decorator before so you can get to know how the process works, plus some advice and ideas while we are in your home. What Happens in a Design Work Session? Before we arrive, and after our complimentary Discovery Call, you have filled out our Interior Design Questionnaire and sent images of the space(s) you need help with. When we arrive for our scheduled session, we will walk through the home with you and give advice and ideas for the areas we have discussed in the call. We will take notes which will be used by us when further services are requested. We suggest that you take notes as well for your own reference. – what decorating style will work best. 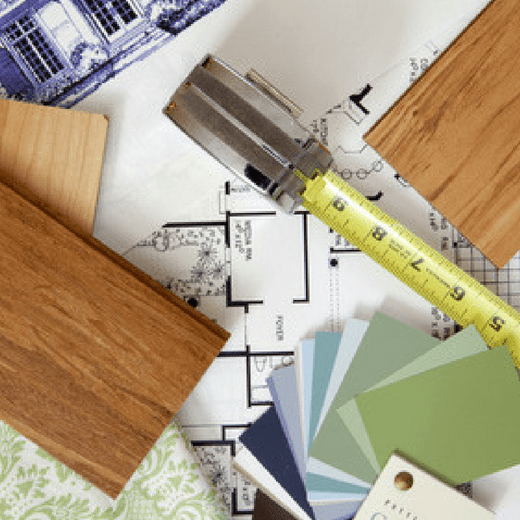 If we are discussing a kitchen or bath remodel with the intention of choosing materials and finishes, the Design Work Session may last longer. This is because we need a more comprehensive understanding of what you need in these spaces. Plus, we’re talking about elements that will be permanent. The Design Work Session is more than a few design ideas and decorating advice. It is also a stand-alone service. We spend time before we leave our office preparing for the visit by gathering the tools we may need based on our initial conversation. We also go over your answers to our Interior Design Questionnaire and study the pictures you sent to us so that we are familiar with your space. We bring our office to you. Our goal is to help you understand the scope of your design project, identify your vision for the space, educate you on what it will take to get the result that you want, how much things cost, and what to prioritize to stay true to your budget. We can also tell you if your preferred budget will cover everything you want to do in your space. Our Design Work Session is only $250 for up to two hours. If you are ready to schedule your Design Work Session or have any questions regarding our services, please click the button below to leave an email message or call us today.